There has been some discussion recently about the dangers of book blogging, and, in particular, how it can confine you to reading only what is new and neglecting older, less fashionable, novels you may want to read or reread (for example from Simon Savidge and Marina Sofia). A good time, then, to revive my Lost Books section, though I have used it in the past to consider those unexpectedly reprinted as well as those which seem destined never to be seen again. Iain Crichton Smith has featured already as an author of Lost Books (with A Field Full of Folk) but as all but one of his novels are out of print (the classic Consider the Lilies), he has plenty of Lost Books to choose from. 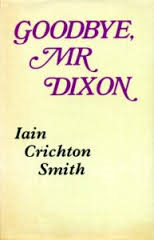 Goodbye, Mr Dixon, like its predecessor, has not only been unavailable since its publication in 1974, but never made it out of hardback. It also shares the distinction of being a perfectly good novel, with the added interest that it is largely about writing. The novel also contains extracts from Spence’s novel where we see this change taking place: initially Dixon replays scenes from Spence’s life with greater success, but slowly his inadequacies become evident. If at first the novel may seem satirical, Spence’s loneliness is too palpable to make him entirely ridiculous. Smith seeks not to ridicule Spence, who is ultimately a sympathetic characters, but his idea of the artist looking at the world “coldly and inhumanly.” Spence is forced to choose between life and art. Interestingly, the final chapter is told not from Spence’s point of view, or Dixon’s, but Ann’s, as if Spence’s perspective looking out at the world has been replace with the world looking in on him. This seems very in tune with Smith’s own craft and for this reason we should perhaps be careful not to take the conclusion entirely at face value. It seems unlikely that Smith’s novels are suddenly going to be reprinted, but an enterprising publisher could surely make them available electronically. 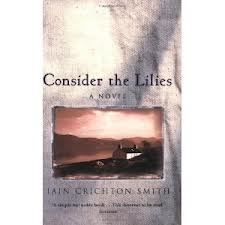 Probably the most famous Scottish novel of the Highland Clearances remains Iain Crichton Smith’s Consider the Lilies, originally published in 1968. Consider the Lilies is a much slimmer and more focused novel that Butcher’s Broom, as much a character study as a historical novel. Both novels, though, have an elderly woman as a central character, perhaps Smith deciding like Gunn that this is an appropriate way to embody the old life of the Highlands. Smith, however, as his title demonstrates, is more concerned with religion, and the novel is in part a scathing attack on the Christianity that encouraged submission to authority and did nothing to aid those in need. It’s not unexpected then when both the elder and the minister let her Mrs Scott down, turning out to be simply an extension of the Duke’s power, and it is McLeod who helps her. In many ways Smith’s primary intention is to critique the church rather than the land-owners, or the unfettered capitalism which caused the Clearances. Religion is seen to be both personally oppressive and complicit in state oppression. Whereas Gunn’s anger was directed at the destruction of the Highland way of life, Smith sees that life already damaged by the church which then betrays the very people who have most faith in it. It would be unfair to describe Iain Crichton Smith as a neglected Scottish writer as his poetry and short stories are still widely anthologised and taught, but almost all his novels (of which he wrote eleven) remain out of print. Only his first, Consider the Lilies (about the Highland Clearances) has established itself as the kind of classic that remains always available. 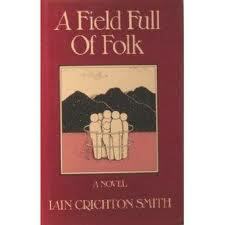 A Field Full of Folk was published in 1982 in the middle of his novel writing career (Consider the Lilies appeared in 1968, and his final novel, An Honourable Death in 1992). It might be described as more accomplished than spectacular, creating a picture of vanishing rural life with a mixture of cynicism and sentimentality. Chrissie is fleeing from the boredom of village life. The fact she takes only a radio with her suggests both her loneliness and her attachment to modernity. The novel then follows two journeys, both of self-discovery: Chrissie’s discovery of what kind of life she wants to live; and Murchison’s rediscovery of his faith. You are currently browsing the archives for the Iain Crichton Smith category.